The kitchen (køkken on the floorplan) is the last stop on my home tour. 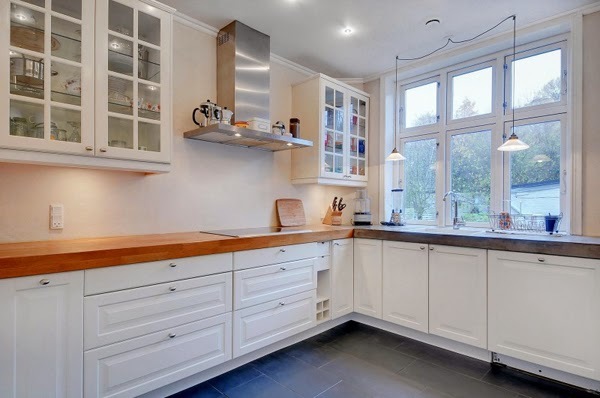 Moving from a house that had a 300 square foot kitchen with a Wolf Range, granite counter tops, walnut floors, double sinks, a center island, etc., a traditional white Danish kitchen with a good layout was at the top of my house hunting wishlist. Aesthetically, I love this space. 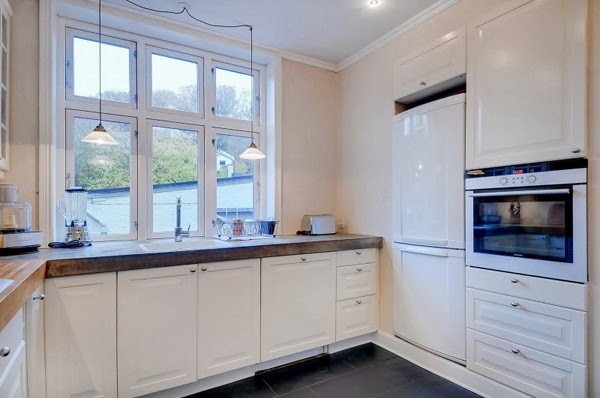 There’s something so elegant yet basic about a traditional white Danish kitchen but I’ve never completely warmed up to the electric cooktop, the wall oven that bakes unevenly and only takes 2 sheets of cookies at a time, or the tiny Euro-fridge whose design most definitely does not make the best use of its available internal space. And since when is defrosting a freezer a thing? I’ve been living on my own since I was 18 and I’ve never had to defrost a freezer until I moved here! But despite all of that, I’ve always enjoyed cooking in this kitchen because it’s relatively big, well laid out, and has underfloor heating, which Opie is definitely going to miss. In contrast, Robert’s place has a galley kitchen… I keep joking that it was clearly designed by people who hate to cook! Cooking in there is too much like hard work; there’s no counter space, the layout is all wrong, it lacks pantry space, and it’s got a dreadful induction cooktop, which refuses to play nice with most of my cookware. And now I’m officially on Christmas break until January 6th! I love Christmastime in Denmark because everything shuts down until the new year and life takes on the most relaxing rhythm. Opie has settled right into Robert’s place and I’m so looking forward to these next cozy weeks with my Loves. 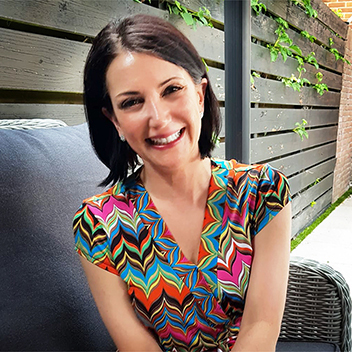 Thank you for sharing – I’ve really enjoyed the home tour. 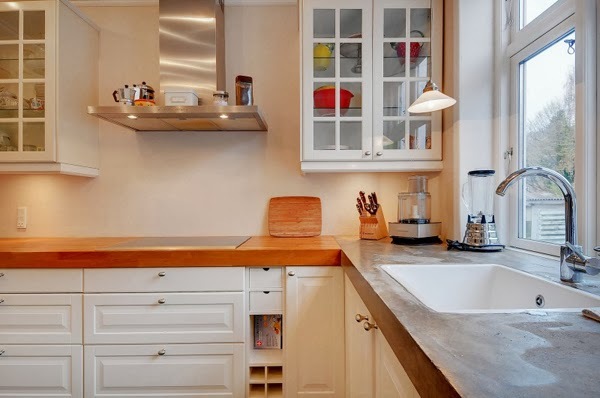 I would have a tough time leaving your kitchen and bathroom behind… though size is much less an issue if a space is well-planned and functions. Oh, what we do for love. ;) Hope you are all settling in well together. Happy New Year!